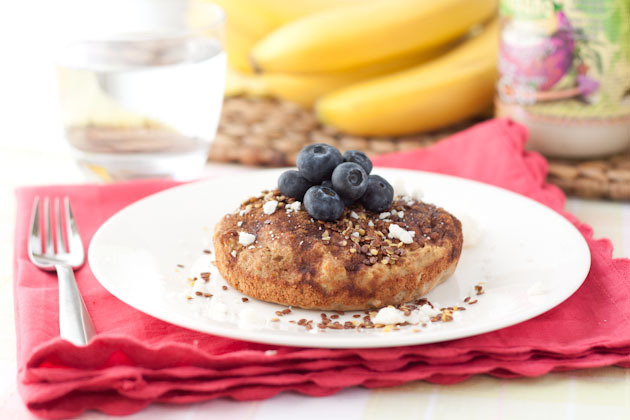 This recipe is from Leanne Vogel on her website "Healthful Pursuit"
A snickerdoodle inspired breakfast cake that’s high in protein and fiber. Best enjoyed with a hot cup of tea and topped with crushed flax and blueberries. Prepare a 16oz. microwave/oven safe dish by oiling with a dab of coconut oil. Set aside. Drop all ingredients except cinnamon sugar topping in a small bowl and mix until fully incorporated. Press mixture into prepare dish and even out with fork. Sprinkle cinnamon sugar over top. Microwave option: Place in the microwave and cook on level 6 power for 3-4 minutes. You’ll know when it’s done when it rises slightly, is harder to the touch, and pulls away from the sides of the dish. Don’t bake it too long, or you’ll have a Frisbee! Allow to rest for 1 minute before tipping over onto a plate and smothering with your favorite toppings. Sprinkle with Omega Crunch and enjoy!